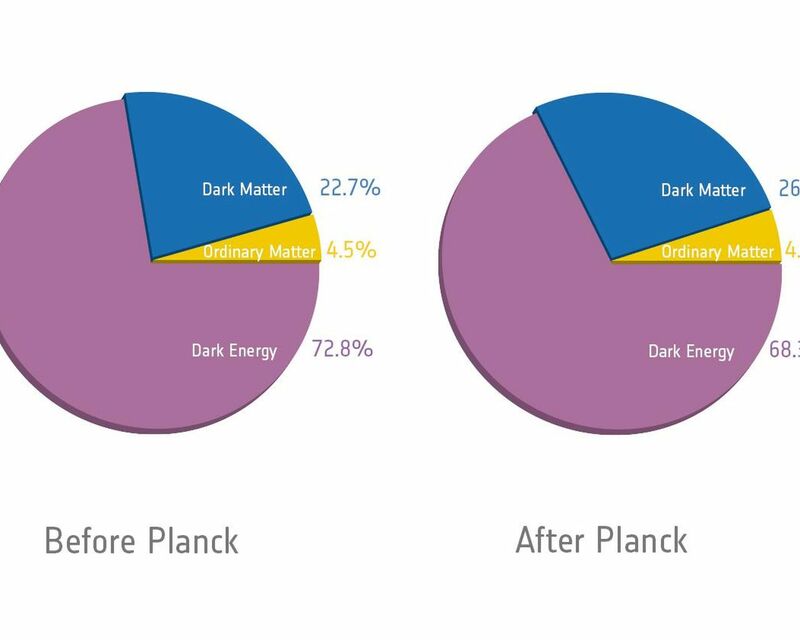 Planck's detailed map of the oldest light in our universe allowed scientists to take the most precise inventory of the universe's ingredients to date. Normal matter that makes up stars and galaxies contributes just 4.9 percent of the universe's mass and energy. 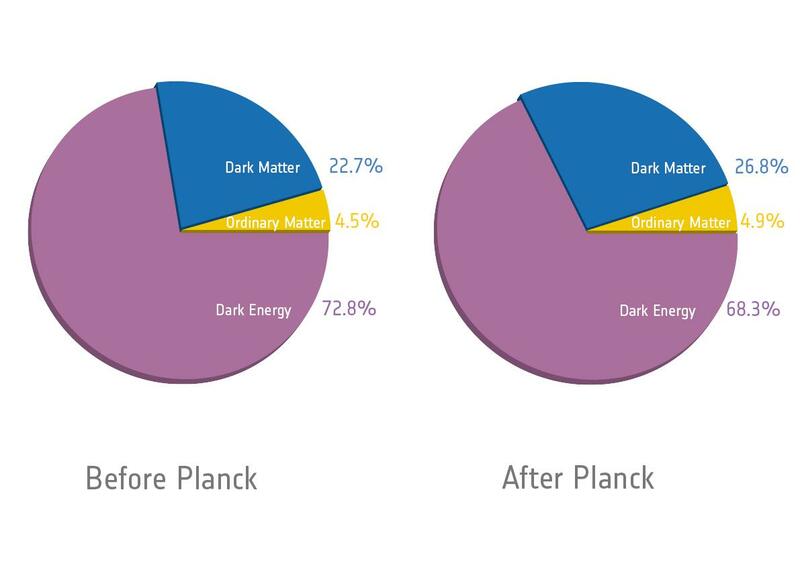 Dark matter, which is invisible but detected indirectly through its gravitational influence on nearby matter, accounts for 26.8 percent of the universe's mass and energy. 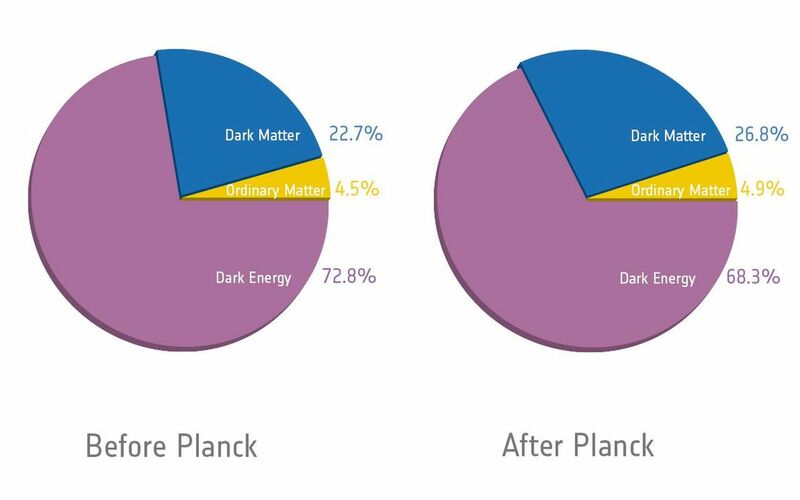 Dark energy, a mysterious force thought to be responsible for accelerating the expansion of the universe, contributes 68.3 percent. The figure at left is based on previous data from nine years of observations using NASA's Wilkinson Microwave Anisotropy Probe, or WMAP, the predecessor to Planck.